Chiropractic care involves no drugs nor surgery, and a broad range of techniques are used to locate, analyse and gently correct vertebral misalignments also known as Subluxations, caused by a variety of everyday activities. Chiropractic care is a natural method of healing that stimulates the body’s communication system to work more effectively to initiate, control and coordinate the various functions of the cells, organs and systems of the body, benefiting your overall health. Chiropractic is so much more than simply a means of relieving pain. 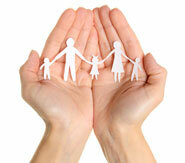 Chiropractors help to restore and maintain alignment and function of the spine through Chiropractic adjustments. 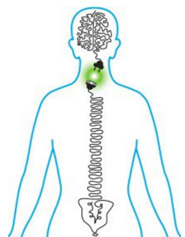 Ultimately, the goal of Chiropractic is to restore the body to its natural state of peak health and performance by having a clear brain-body connection, rather like an electric circuit. 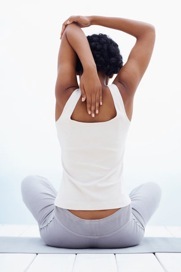 When the spine is properly aligned, overall health is boosted in a number of ways. 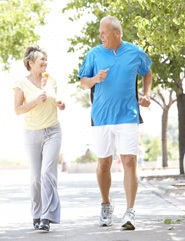 The United Chiropractic Association (UCA) says that by literally taking steps now, older people could add years to their active lives – and it would save the NHS many millions of pounds each year. The UCA points to new research which suggests regular adjustments reduces the risk of falling among the elderly by tackling some of the main causes. The UCA has launched a Make Health Last campaign as part of its 2015 Spinal Awareness Week on 11-15 May and says that with people now living much longer, more needs to be done sooner to enable people to stay mobile. The United Chiropractic Association (UCA) has hit out at the “blinkered” governmental attitudes towards chiropractic care, which means research showing it drastically reduces hospitalisation rates and nursing home admissions has been ignored for almost two decades. 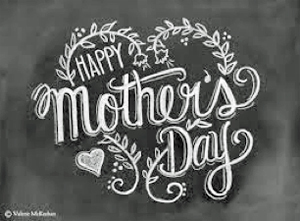 Being a mother is one of the most rewarding jobs on earth and to celebrate Mothers Day the United Chiropractic Association (UCA) is highlighting the benefits of chiropractic for all mums, whatever their age. Modern mums have become much more knowledgeable in diet, nutrition, exercise, sports and physical activity and are turning to chiropractic to help them face the different challenges and physical demands of motherhood. Millions of women visit chiropractors because of the caring interaction that develops between patient and doctor and because of chiropractic’s effective combination of expert care, specific spinal adjustments, exercise and nutritional guidance, and lifestyle counselling. Chiropractic offers demonstrated relief for many of the specific health challenges that affect women based on their female anatomy and the fact that the female body is designed to be able to bear children. It is a chiropractic adjustment that helps restore the nerve supply to the body, removing the interference that helps the body to function at its best. Chiropractic isn’t a cure for bad period pain, infertility or women’s health concerns, but a tool that thousands of women use to ensure that their body is functioning without any interference. Being a healthy mum means guiding your body through many different phases in your life and chiropractic care can help your body operate at its optimal performance. 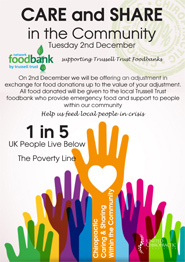 United Chiropractic Association (UCA) members will be helping some of the most vulnerable people in their local communities this Christmas, in a Care and Share in the Community campaign in support of foodbank charity, The Trussell Trust. Participating members will be donating a day’s work by providing adjustments on 2 December in exchange for food to the value of the treatment. Cash payments from clients who prefer to pay for their treatment in the usual way will be donated to the trust, too, while clients not booked for an appointment that day can also donate. Arthritis is a painful and debilitating condition and can have a significant impact on the quality of life of individuals suffering from this disease. 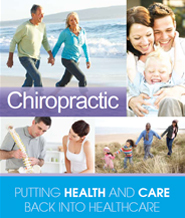 On 12th October 2014, World Arthritis Day the United Chiropractic Association is highlighting the benefits Chiropractic care can have for those suffering from this condition. Migraine is not just a headache, it can be relentless; an intense pounding and throbbing pain that can steal your energy and ability to function. 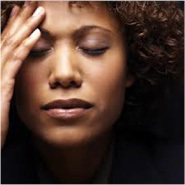 Migraine is the most common neurological condition affecting people of all ages, social classes, races and culture. During Migraine Awareness Week 07th – 13th September 2014, the United Chiropractic Association is highlighting the benefits of Chiropractic care in both the prevention and treatment of migraine headache. It’s midsummer, the holiday season is here – at last! – and all that’s needed now is a great YOU to make the most of those long, sunny days and light, balmy evenings. Here’s how. 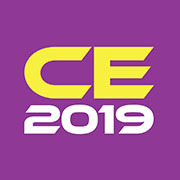 To help the nation hit tip-top condition to enjoy our favourite time of year to the maximum, the United Chiropractic Association (UCA) has come up with six scorching summer tips. Just like a car needs fuel to make it run, your body needs the right kind of nutritional fuel. 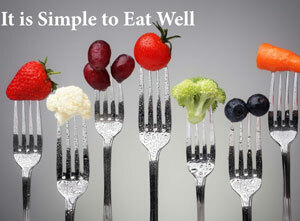 The key to healthy eating is balance, variety and moderation. The right balance of foods will make sure that your body gets most of what it needs in terms of proteins, fats, carbohydrates and fibre to stay healthy. Did you know that around 60% of our body weight is made up of water? It is an essential element that your body can’t produce. You can survive for weeks without food, but only a couple of days without water, unlike camels, we aren’t lucky enough (depending on how your look at it) to be able to store water in humps. Modern Life is anything but Simple. We are in an age of expansion not seen before and doesn’t look like slowing anytime soon. 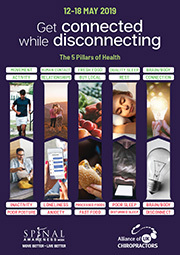 We juggle multiple roles, chase our never ending to do lists and many of us are entrapped in the web of technology as it advances and expands and intrudes into every corner of our existence, where not even the bedroom or the bathroom provide solace, anxious we’ll miss the latest blog or txt or ‘like’. Restful sleep is one of the pillars of health and getting a good night’s sleep should be at the top of your to-do list. Everyone knows there’s nothing like a good night’s sleep for feeling refreshed and alert in the morning. Sleep is important to maintaining your health; without it you become more susceptible to health problems. Failure to obtain quality sleep may lead to poor alertness, lack of attention, reduced concentration, decreased work and academic productivity, and even car accidents. The brain is the master control system for the whole body; it sends and receives a complex frequency of signals to the body via the nervous system that dictates the function of the body. The brain is rather like an air traffic control centre; receiving information from landing and departing planes, ensuring that the flight paths are clear and that all is operating effectively. If air traffic control can’t communicate with the aircraft then chaos is sure to happen. The same goes for your body, if your brain can’t properly communicate with the rest of your body then health problems will result. To coincide with National Bike Week 14th – 22nd June 2014, the United Chiropractic Association is encouraging people to incorporate cycling into their busy schedules. To be fit and healthy you need to be physically active, cycling is a low-impact aerobic exercise that can be enjoyed by people of all ages, from young children to older adults. It gives your heart, blood vessels and lungs a good work out; it is fun, cheap and good for the environment. During Chiropractic Spinal Awareness week, we are aiming to focus attention each day on a different area of posture awareness. Most people are aware of their own posture and how it can affect their day to day lives, but are completely unaware of how their babies and toddlers are developing great (or less than ideal!) posture habits. In an optimal functioning body, the neuro-musculoskeletal system hangs in dynamic equilibrium, with each part balancing the other. When a woman wears high heels a new dynamic equilibrium occurs, if one body part becomes fixed the whole system must compensate with altered movement patterns. Is Your Bag putting a strain on Your Spine? 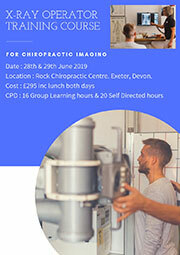 As spinal health care experts, chiropractors in the United Chiropractic Association are working to educate the community during Spinal Awareness Week. Their main focus is on how you can ensure that your spine and nervous system are working optimally and how to prevent injury and chronic problems through daily activities. 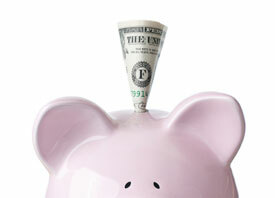 As modern life has become busier most of us have started carrying more in our bags and purses. 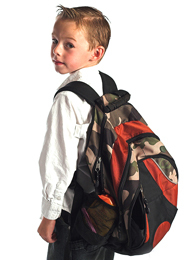 Even our children are carrying more in their school bags than ever before. Carrying a heavy load can adversely affect our spine and nervous system – resulting in reduced health and can be a pain in the neck – and shoulders, and back! Mums and dads are being urged not to allow their toddlers to use a baby walker and not to leave their babies in car baby seats when outside of the car. The advice comes from the United Chiropractic Association (UCA), which says that baby walkers are bad for toddlers, and the habit of carrying a baby around in a car seat is harmful to both child and parent. Our spine is an amazing thing; it’s what holds everything together! So it’s important we take care of it. As part of Spinal Awareness Week, UCA, which has around 600 members nationally, is providing some top tips on how to keep your spine in tip-top shape. The good news is that in a lot of cases, the wellbeing of our spine and health is in our own hands; we might just have to tweak some of our habits. Texting and using mobile devices for long periods of time could lead to lower life expectancy, according to the United Chiropractic Association (UCA). Forward-leaning posture increases the risk of an early death in elderly people and there are fears that younger people might be knocking time off their lives by using this posture when they text, go online, send emails or play games on phones and other mobile devices. Whether you have been married for years or are single and looking for that right someone it is important to make room for love in your life. 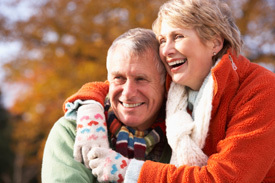 Love doesn’t just put a sparkle in your life – love can positively affect your health and well-being. The resolutions you set are often unrealistic or you are not truly committed to change. If you were why wouldn’t you make these changes today? Forget the New Year’s Resolutions you have made and broken and set a goal today to make a lifestyle change for a more healthier you. 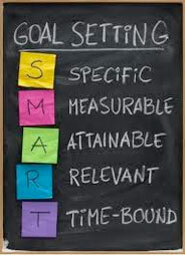 It is important for that any goal you set is SMART for it to be successful. Things such as what we eat, how we exercise, how much rest we get, our posture and what stress we carry around are all factors to consider when making lifestyle changes for better health. 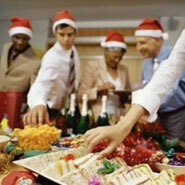 How to eat, drink and be merry this Christmas – AND stay healthy! Tis the season to be jolly … unfortunately, it’s also the time of year when health and fitness regimes get thrown out of the window, some of them never to be seen again! The good news, according to the United Chiropractic Association (UCA) is you can join in the festive fun without abandoning all that hard work. Their top tips for a happy Christmas include: Laugh – it’s the best medicine of all; dance – it’s a great workout; tell yourself you’re going to have a nice time – your beliefs are key to how you feel; be grateful for and enjoy what you have; try to do something for others this festive season; and be with the people you want to be with – this way, you’ll be happy! The 6th November is National Stress Awareness day and UCA Chiropractors are sharing tips on how to reduce stress and help maintain a balance of health. The spine and posture are important factors in the ability of the body to cope with stress, and a healthy spine and nervous system can help to manage stress more effectively. Everyone experiences stress on a daily basis due to the modern world that we live in and the increase in demand for our time and attention. Stress, in its negative sense can be defined as an imbalance of bodily system(s) due to excessive stimulus that upset normal functioning and disturbs mental or physical health. Time to put your back into your healthcare! When it comes to reasons for visiting the doctor, only the number one cause – the common cold – beats back pain. 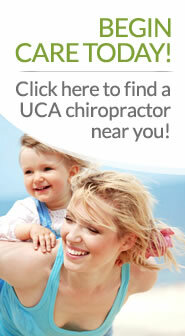 UCA chiropractors across the UK will be donating a day’s work to the Trussell Trust’s foodbank network, in a new campaign being launched in time for Christmas 2013. The Care and Share in the Community campaign by the United Chiropractic Association will see members give their services to clients in return for a donation of food for their local foodbank. The UCA, which has some 500 members, announced the campaign after becoming partners with The Trussell Trust, which has grown 380 of the UK’s foodbanks. Research is to be carried out at schools in the UK, amid fears that young children are being literally weighed down by their school bags. There is concern that in many cases, children are carrying much more than the recommended maximum of 10% of their body weight, leading to posture and potentially spinal problems.